October 2015 - Hoshizaki America, Inc.
Far too often ice is overlooked in drink making. 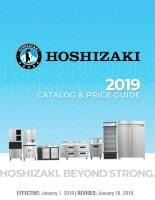 You can depend on Hoshizaki ice to produce a consistent final product. 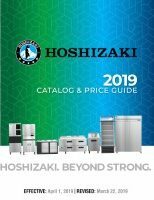 Hoshizaki America, Inc. announces upgraded two section half door refrigeration units – the CF2S-HS Freezer and CR2S-HS Refrigerator. These models have Stainless Steel Interiors along with unique "ducted" air distribution systems.